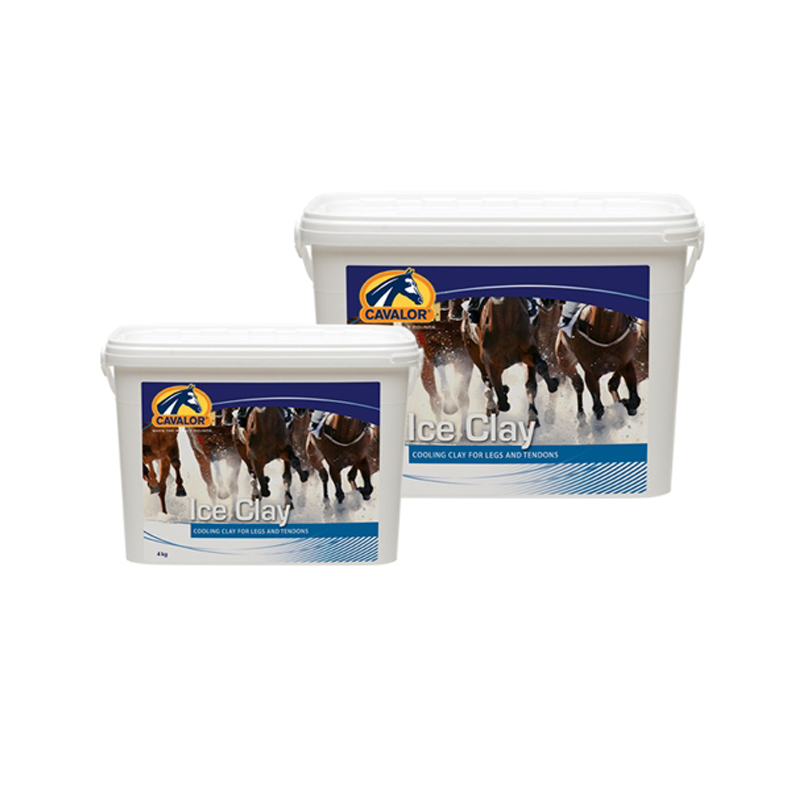 Cavalor Ice Clay is natural clay poultice supplemented with essential oils and minerals to relax stressed legs. The essential oils in Cavalor Ice Clay appear to have calming and analgesic properties. The clay acts as a natural conforming poultice to draw swelling from the leg. Cavalor Ice Clay slowly cools down stressed tendons. How to use: For fast cooling apply thick layer on the legs (tendons), allow to dry completely (this will take several hours), Remove using a hard brush, and then rinse off the remaining clay with cold water. To apply a “Wet and Warm Compress” apply thick layer to the tendons, then wrap the leg in wet paper and bandage with a stable bandage. Ice Clay is not designed for use on open wounds.